Between 8 December 2017 and 27 May 2018, ‘Masked Warriors. Battle Stage of the Samurai’ will be on view at Japan Museum SieboldHuis. 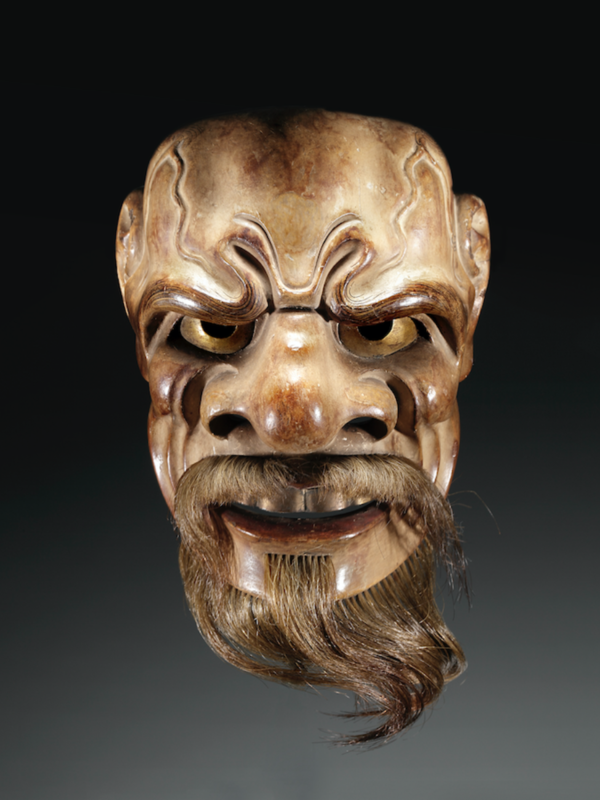 The focal points in this splendid exhibition will be played by Nō-masks and the masks of the famous Japanese samurai warriors. 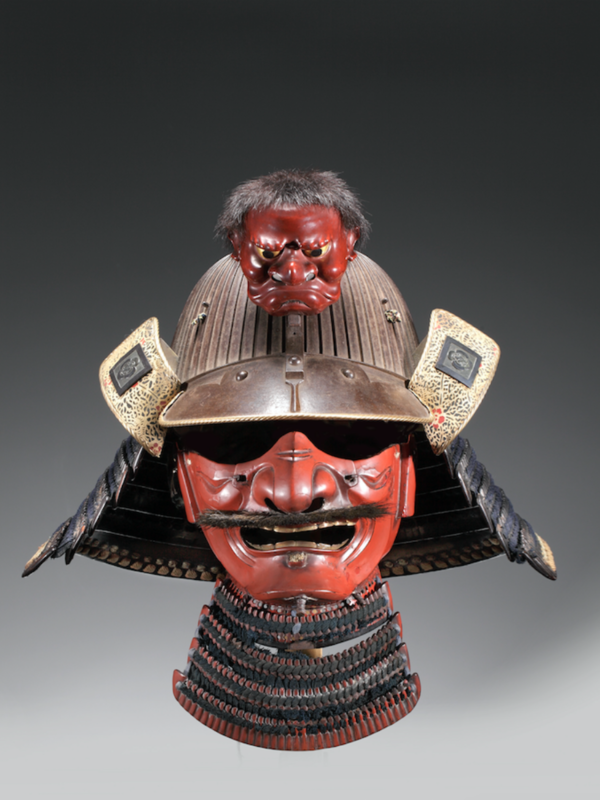 Spectacular artefacts from international and private collections, including swords, screens, kimonos, helmets and bows, will illustrate the beauty and power of Nō-theatre and the samurai culture. Feared on the battlefield, the fascinating samurai of ancient Japan were also patrons of the arts and learning, and led a refined and cultured life. The samurai practised various forms of artistic expression, such as calligraphy, ikebana, painting, and the tea ceremony. The passion with which the warlords studied, observed and even practised Nō-drama was extraordinary. Their love of the fine arts spilled over into the battle field. 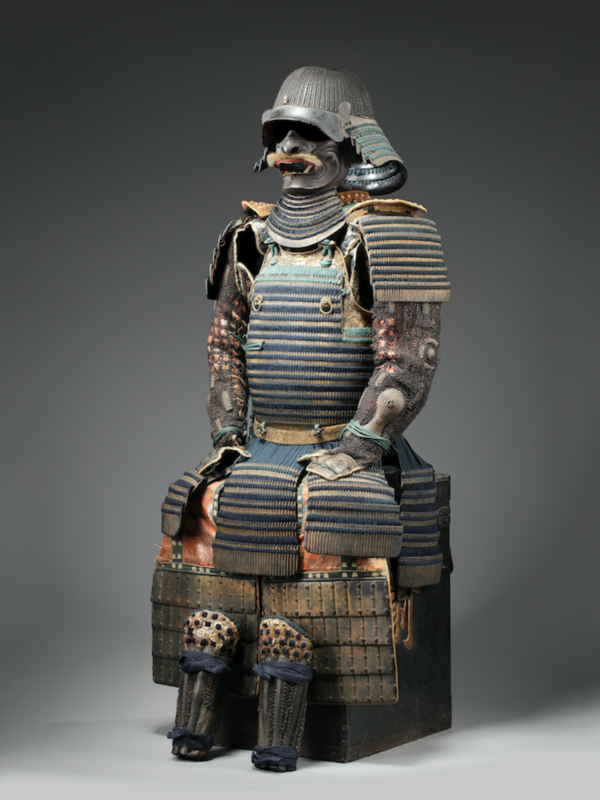 The impressive armour not only protected the samurai in battle, it was a reflection of his personality and status. 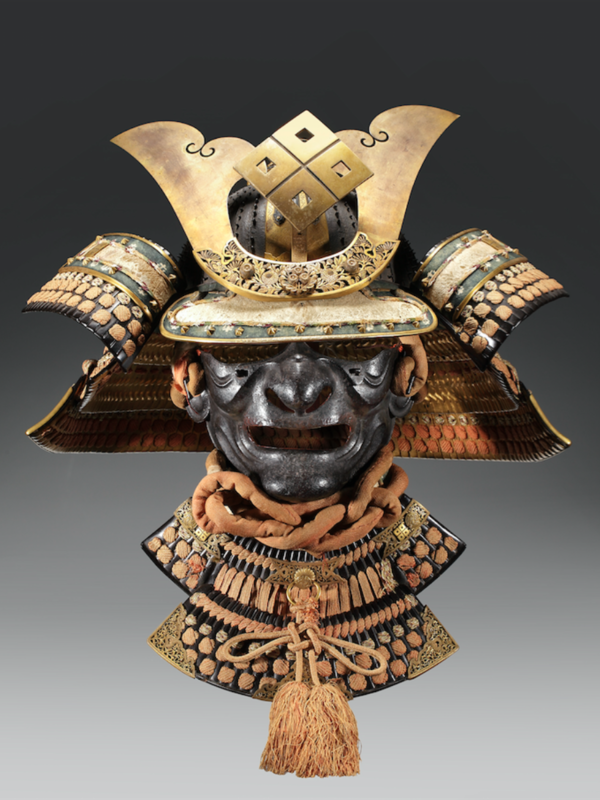 The masks, helmets, cuirasses and swords were made by the very best craftsmen, using precious metals, beautiful lacquerware and costly fabrics. On the occasion of the exhibition, an extensive and richly illustrated catalogue written by guest curator Bas Verberk is being published in collaboration with Leiden University Press. The catalogue will be available in the museum shop. In addition, various activities, lectures and tours will be held to accompany the exhibition.